All you moms and dads out there in search of better storage and organization ideas, raise your hand! 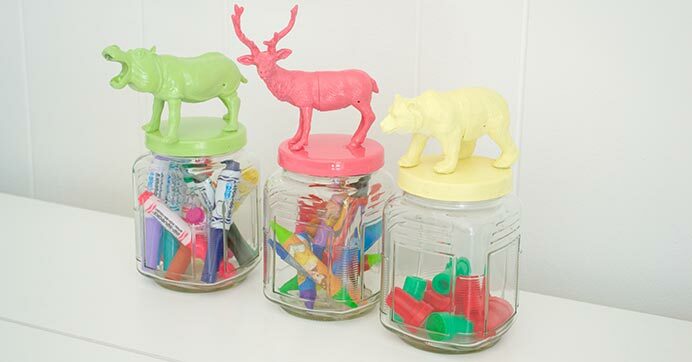 If you raised yours (I sure did), you’ll love these wildly adorable animal jars. 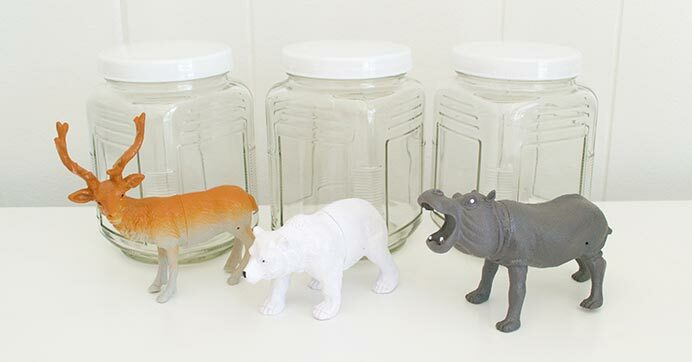 Head into Dollar Tree and grab a few glass or plastic jars with lids and a few plastic animal figurines, because I’m showing you how to give them a roaring makeover! 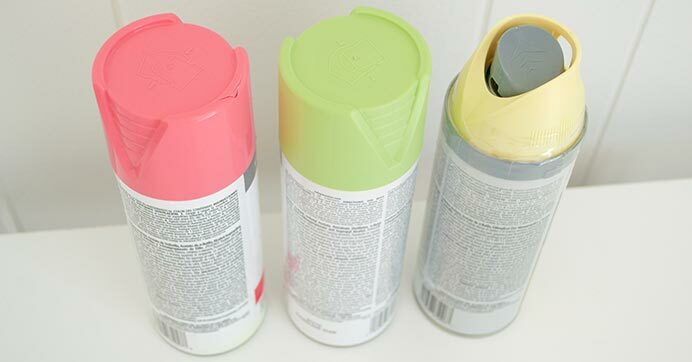 With a little glue and spray paint, you can turn them into a beary easy, kid-friendly storage solution for tiny toys, arts and crafts supplies, and more. 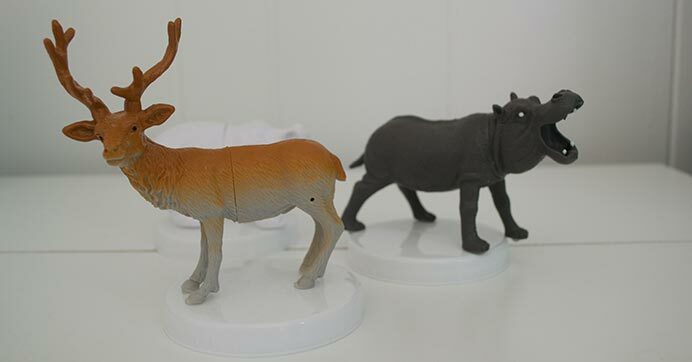 Let the little ones get involved in the fun by picking out their favorite animals and paint colors that match their bedroom or playroom. 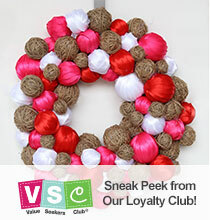 And, who knows, this idea may even get them excited about cleanup time! …well, maybe. 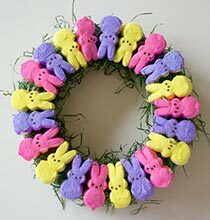 Remove the lids from each jar, and glue the animal feet directly onto the center of each lid. Let the glue dry for a few minutes. Head outside to an open area and place your animal-topped lids onto the poster board or cardboard. 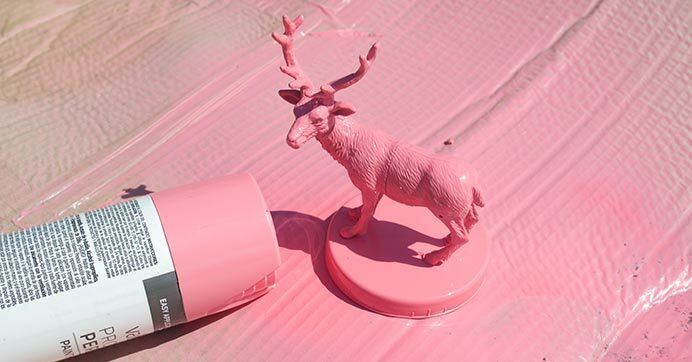 Spray each animal lid a different color. Take your time and spray every angle and crevice because these can be a little tricky if you go too quickly! Let the lids air dry outside for at least 30 minutes. Once dry, arrange your jars on a desk, shelf, or dresser. 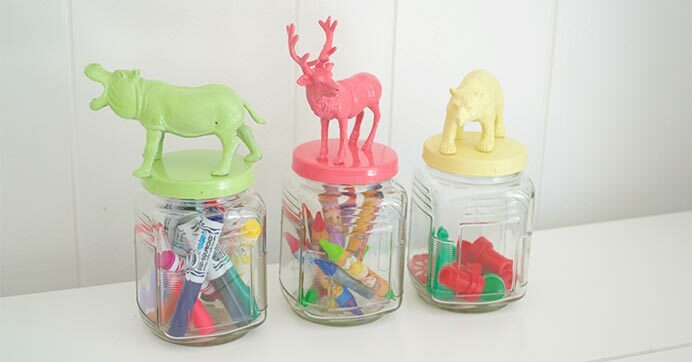 Fill them up with toys or craft supplies and screw on the lids using the animals as your handles. 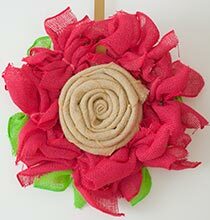 Looking for more fun four-legged craft ideas? Don’t miss this DIY Jewelry & Trinket Tray!